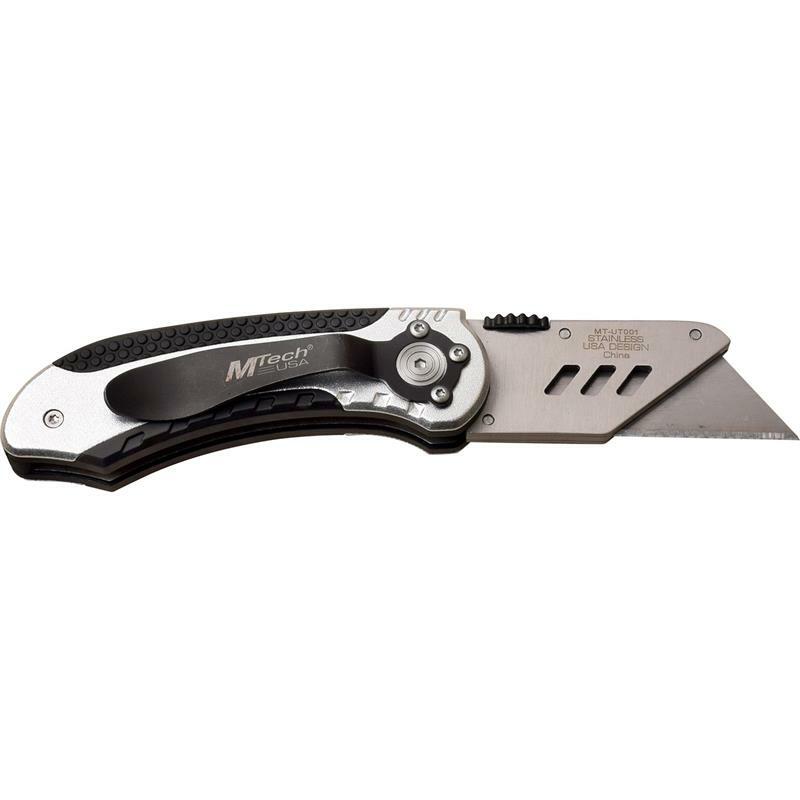 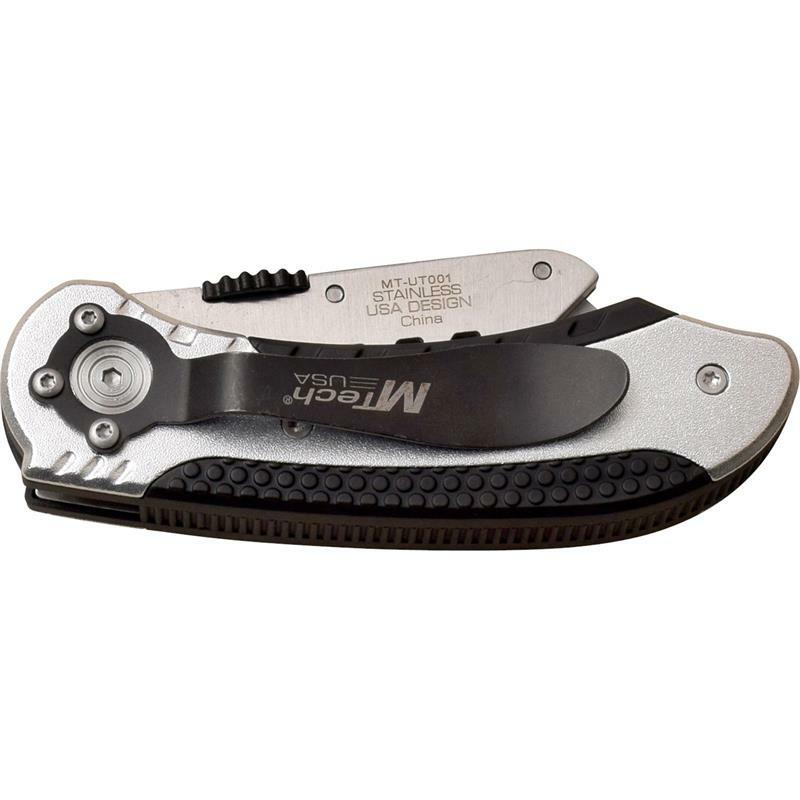 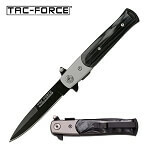 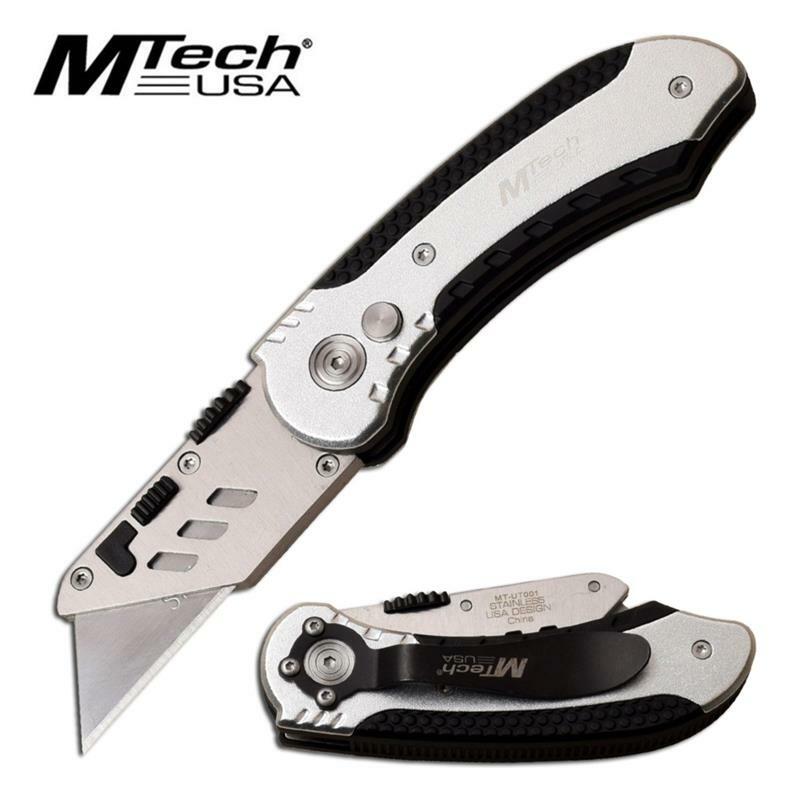 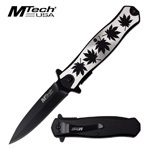 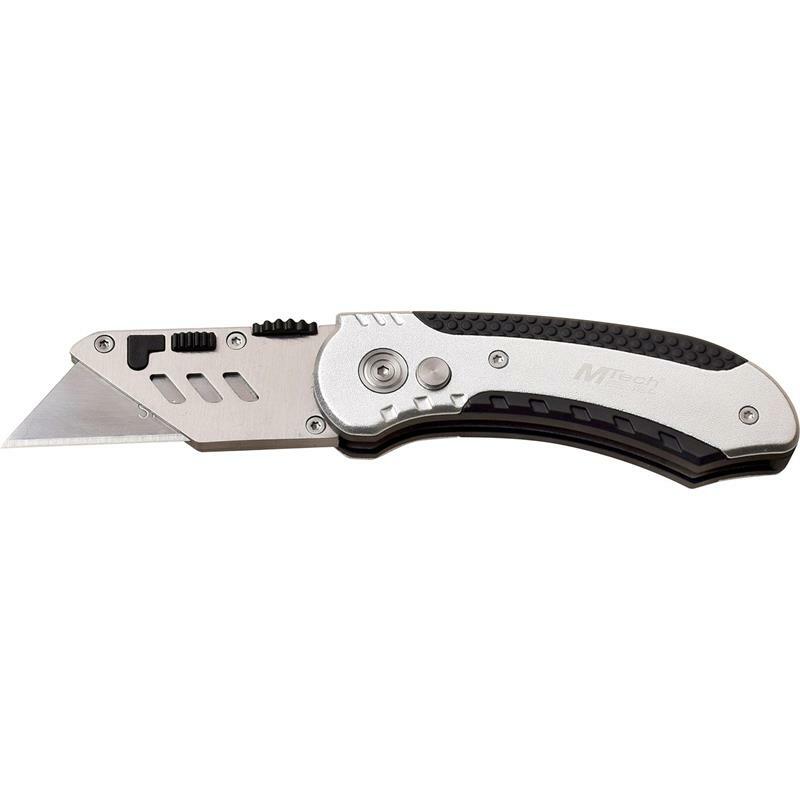 This pocket knife comes with razor sharp 2.5 inch sk5 high carbon steel blade for cutting boxes or other items. 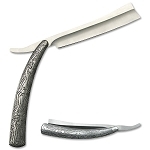 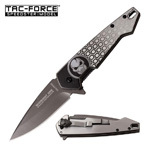 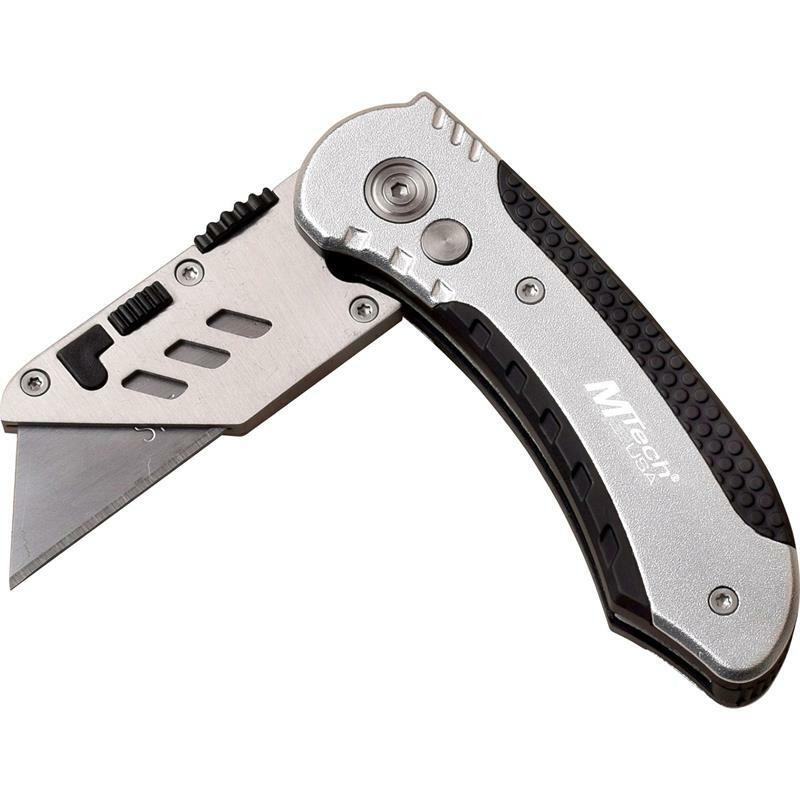 The razor box cutter knife has changeable utility blades. 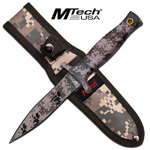 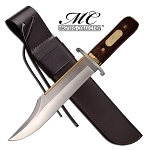  Overall open length of the knife is 6.25 inches long. 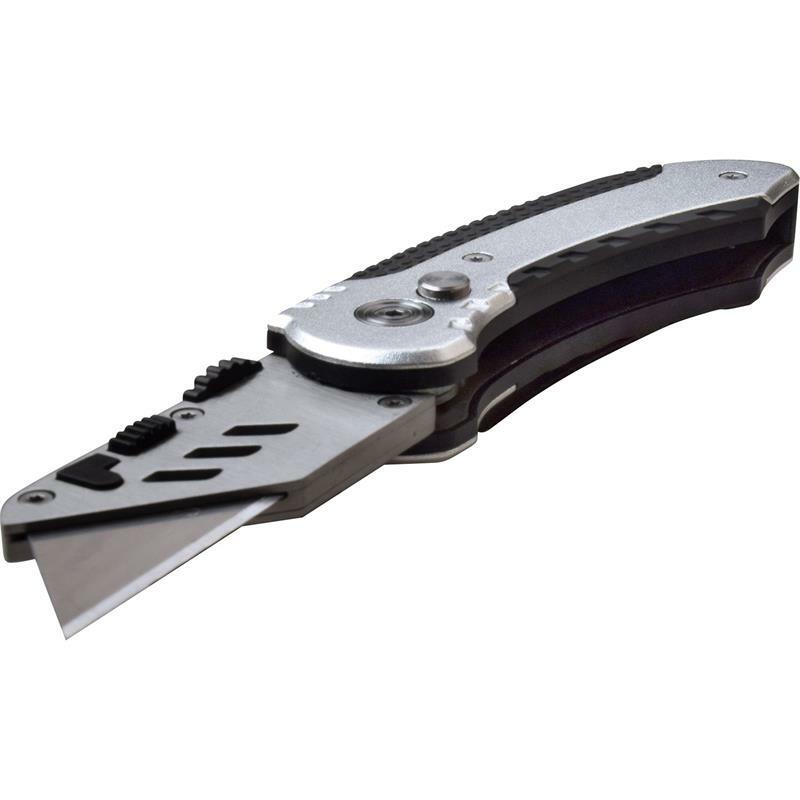 The knife has a button lock system. 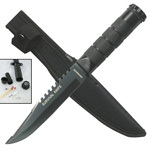 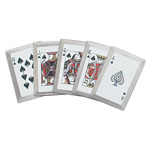 Handle is 3.75 inches made form anodized aluminum with molded rubber grip.